Tripura is known as the hilly state of North East India. Transport division of Tripura operates as per the discretion of Motor Act 1988. Like any other RTO, Tripura RTO performs varied activities. Some of them are checking the vehicle health & its worthiness. It performs many other functions based on the purpose of its establishment as well. 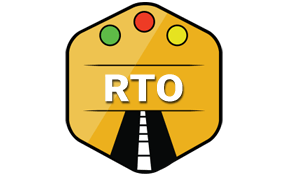 Every vehicle purchased need to be registered with RTO. All the vehicle owners are issued unique Registration Copy called as RC. It is the mandatory document for all motors. We can easily receive the same after submission of the required documents. Papers that we need to submit for Vehicle Registration to Tripura RTO are as follows. After verification of these documents, RC is issued to the vehicle owners. Tripura RTO is quite efficient in performing the following activities. Road Tax is levied as per the applicable slab of the state. It is different for different types of Vehicles. For two-wheelers, criteria is completely different as compared to four-wheelers. Same goes for any other types of vehicles like three-wheelers or any other heavy mode of transport. RTO collects the tax as applicable. For smooth mobility of vehicles, road permit is a must. Tripura RTO helps to get road permit for any kind of vehicles. Vehicle Registration process has been explained in detail above. If we plan to buy second-hand vehicle than we must get the necessary changes done by RTO. Documents that needs to be submitted are same as required for Vehicle Registration. In addition we also require original RC. Learning license is issued to the beginners in driving. It's just valid for six months. Tripura RTO manages the entire process. After learning license expiry, vehicle owner must have a valid Driving license. In order to have it, they need to visit RTO. There are few documents that need to be submitted followed by the driving test. If all goes fine than Driving license is issued on the same day by Tripura RTO. Driving tests that are conducted for the purpose of License needs to be a very organized process. Tripura RTO manages it as per the norms of the applicable acts like Motor Vehicle Act of 1988 etc. After getting familiar with the activities of Tripura RTO we must know the codes of different districts within the state. There are mentioned below for reference. Tripura RTO closes by 5 pm usually. In order to visit them we must take an appointment. Address & phone numbers of the capital city of Tripura is mentioned below. The Regional Transport Officer ( RTO ), Agartala, West Tripura, Tripura – 799001.